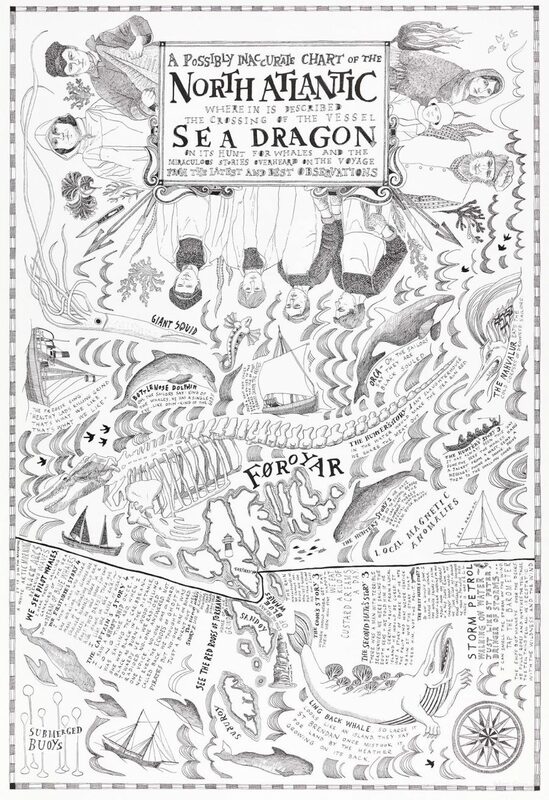 It’s with great pleasure to announce that ‘We Dream of Blue Whales’, the triptych charting my journey on the Sea Dragon from Iceland to Sweden, will be migrating to dark Northern waters for a month. 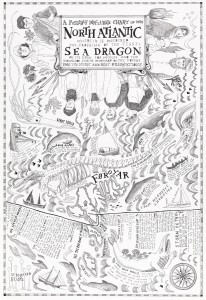 It will be showing at Left Bank Leeds in a new exhibition focussing on whales: ‘Here be Whales’ in association with Hull Maritime Museum and the universities of Leeds and York. More about the show (and the sister show at Hull Maritime Museum) plus information about the artists can be found here. Foroyar, part II of We Dream of Blue Whales. Free entry to the exhibition, costs may apply to related events.